Take the Carpathians’ challenge with a good nutrition! 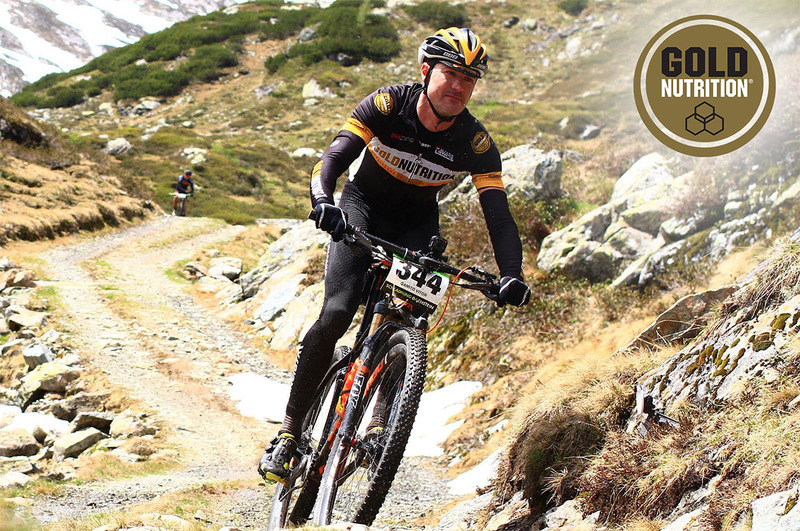 CARPATHIAN MTB EPIC 2017 comes with a series of exciting and demanding challenges both physically and mentally even for well-trained cyclists. During the 3-day race stage, preceded by a short Prologue, you have to pedal along the routes, plateaus and peaks of the Bucegi and Piatra Craiului mountains, for a total distance of 157 km. Therefore, your mind and body need to be prepared for what will follow, and with a proper nutrition and workout plan you will be successful at the end of the 5,750 meters of climbing. The GoldNutrition specialists provide you with some useful tips that will help you make a personal nutrition plan tailored to your body. Also, the GoldNutrition packs prepared for CARPATHIAN MTB EPIC 2017 will provide you with the necessary energy supplies for this challenging competition. If the athletes want to achieve performance, they must go through a stage of intensive training, not only to increase physical and mental endurance, but also to learn how to deal with certain pressures. The nutrition of an athlete plays a key role in his athletic ability. At this stage, it is important to identify your nutritional and hydration needs, which will be crucial for your athletic performance. In order to be fit, you have to make sure that your diet allows you to attain the ideal weight, to maintain your body mass and to have the energy required to compete. The nutrition plan concentrates upon 3 phases: pre-workout, workout during the race and recovery after the Finish line. When it comes to nutrition, the moment of eating is very important – the nutrients timing, and its specific purpose, and also the type of food that is ingested, depending upon its digestion speed. During such a challenging competition as CARPATHIAN MTB EPIC, the recovery between different stages represents a basic element. A proper nutrition and a good provision of key-nutrients during a short period of time will prove to play a major part in improving your performance during the race. During your training, you have to estimate your daily nutritional and caloric needs in order to ensure the best performance, but also to maintain a very good general state of health. The exact demands vary from an athlete to another and also in the same person’s case changes may occur when preparing for an event, depending upon the physical level at that time, the intensity of the test and the environment. Hydration is one of the most important themes in sport nutrition and mountain cycling makes no exception. In order to prevent dehydration during training, it is important that you monitor your intake of fluids and pay attention to your body needs. The suggestions for hydration do not represent a rule that will fit everyone, because the levels of physical ability, the perspiration and the needs for water and electrolytes are different from an athlete to another, depending as well of environment and training. Cyclists’ performance can be jeopardized by two factors which concern fluids and electrolytes: hyponatremia and muscular cramps. Drinking too many fluids or the retention of fluids seems to be the main reason for hyponatremia, especially the fluids without sodium, such as water. Although the specific electrolytic anomalies have not been associated with the muscular cramps, some experts believe that, in the case of many athletes, a low input of salt may be the main reason for the cramps which appear after training, especially in the areas where the climate is warm. In cycling, the athletes must recover the fluids and electrolytes which were lost through perspiration by having drinks based on sodium and/or salty food. Besides sodium, the athletes must not neglect the levels of potassium, chlorine and magnesium, which can be easily balanced with an isotonic drink with a similar composition. The use of high-end supplements by athletes like gels, bars or specific drinks, which are rich in sugars, especially during intense cycling, is a well-known practice. These strategies, which will be further discussed in the next articles, are essential for ensuring the energy required in the advanced stages of the race. Stay tuned to find more about the recommendations of GoldNutrition specialists!